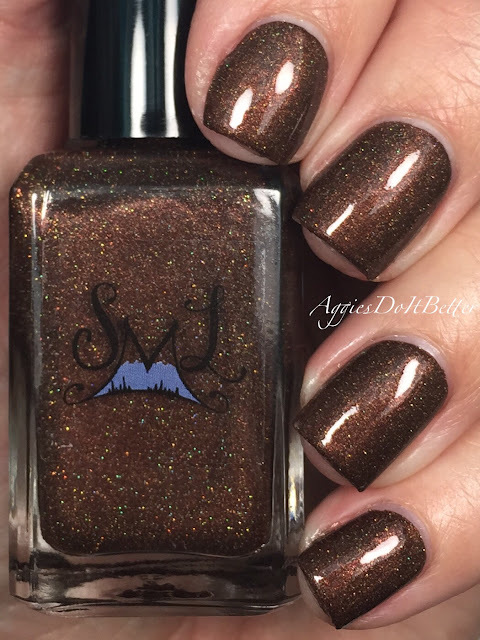 Aggies Do It Better: Smokey Mountain Lacquers Winter 2015 collection Swatches and Review! 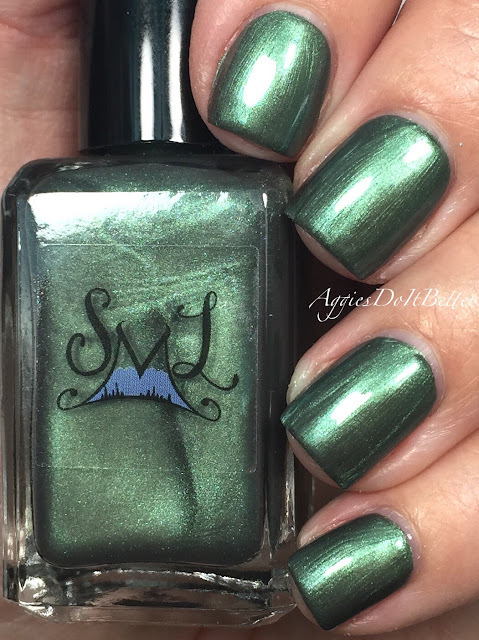 Smokey Mountain Lacquers Winter 2015 collection Swatches and Review! Hey guys! 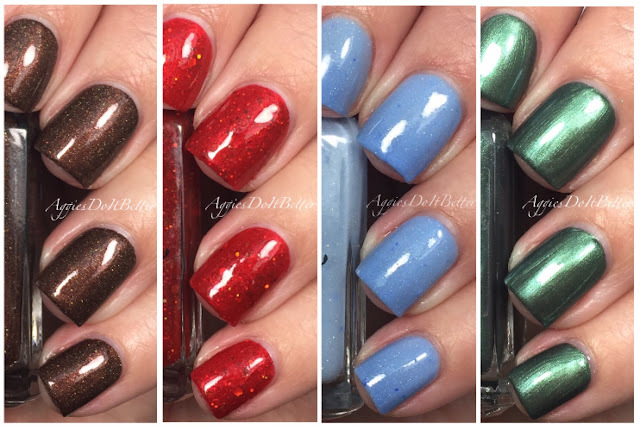 Today I have half of Smokey Mountain Lacquer's Winter 2015 collection for you! I only have one polish of her brand and I love it, so when Kim asked me to review these for her of course I said yes! 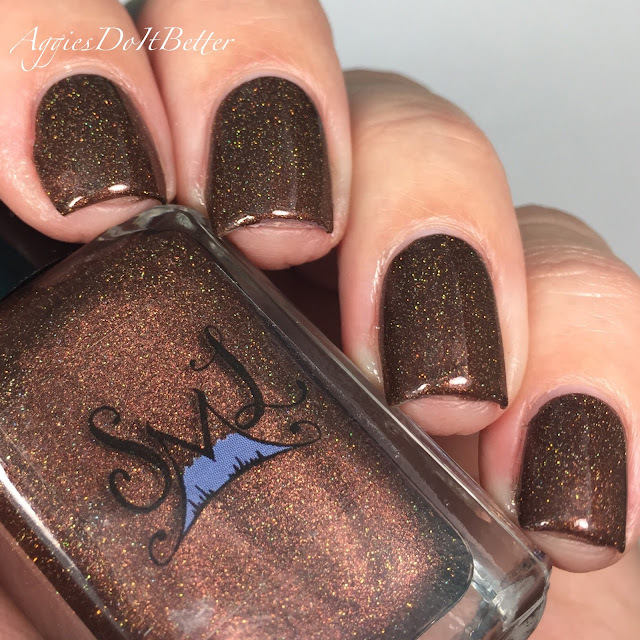 These will be launching November 20th at 8pm EST so be sure to check out Smokey Mountain Lacquers to purchase! I'll put more information on the pricing at the end of this blog. Let's get in to the swatches! For all these I used OPI Ridgefiller base coat and Seche Vite Topcoat. I vary what I use as bases and tops, this is just what I used this day! 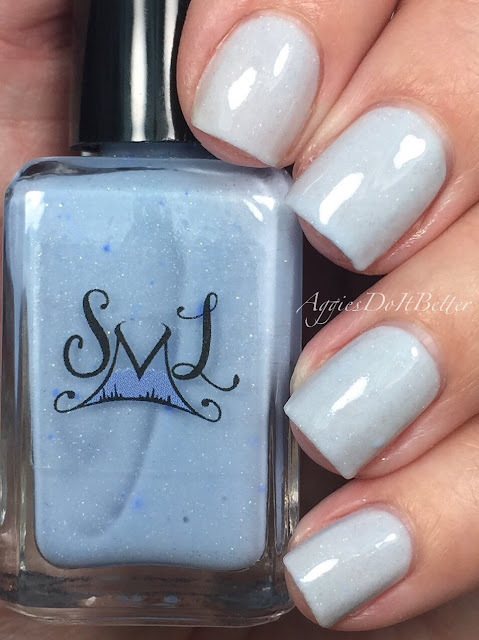 First up is "Sub Zero" which is a (hot-cold) thermal polish which changes from white/pale icy blue when room temp/warm/hot to a medium blue when cold. It's so fun playing with this type of polishes! It applies pretty much white and I felt like it needed 3 coats, but it would probably be ok with 2 when its blue, haha! Good news, topcoat doesn't affect the thermal-ness of the polish! This is what it looks like in transition...I found that once I played with it a little it never really went back to the most white color...it stayed mostly really light blue. Here it is in the cold state. Pretty! Check out this little video I made of the transition! Next is "I Pine for You" is a mossy green shimmery cream. This is 3 coats, but I think you could get away with 2. There's some brush strokes so you want to wrap your tips on the first coats and not the last! They aren't as visible in real life as they are in this picture. This is definitely different than any other greens I have! 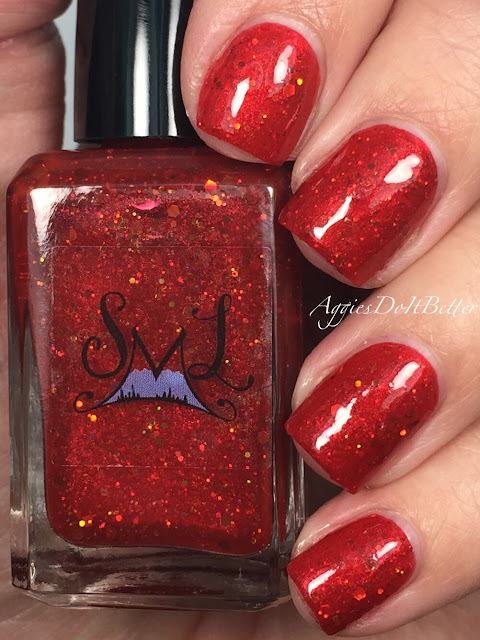 "Cozy Inside" is an orangy red jelly with copper and red glitters. For those like that me that aren't so great at creating "jelly sandwiches" this is a Jelly-sandwich-in-a-bottle! 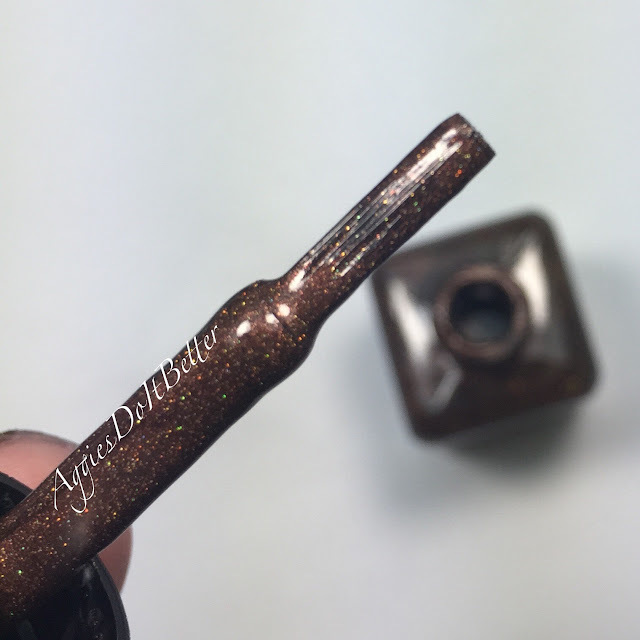 The coverage was way better that I was expecting, its more opaque than a lot of jellies. 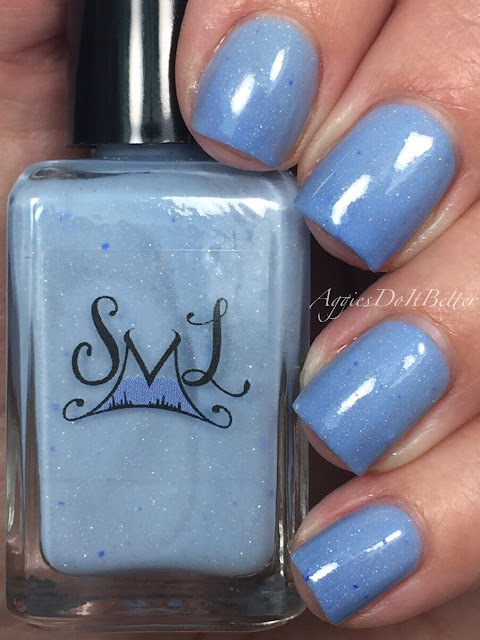 Totally opaque in 2 coats! This would look great matte also. Lastly my favorite of the bunch I was sent, "Cuddling with Cocoa" is a gorgeous brown scattered holo crème. This is so opaque it could almost be a one coater! I did 2 just to even it out a little because I wasn't expecting it to be so opaque. I would say this is one and a half coats, haha. 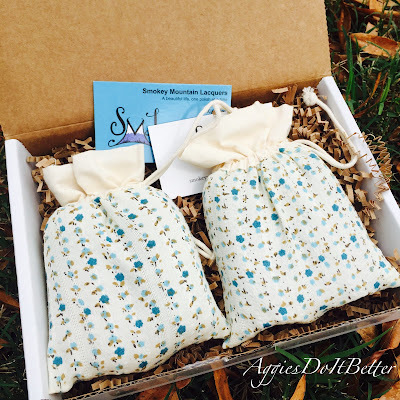 Totally gorgeous, a must have for fall! Heart eyes! In case you guys aren't as familiar with Kim's brand, here's a look at the brushes. Flat wide brushes, just like I prefer! Yippee!! Hard Candy 20th Anniversary collection-my pics! 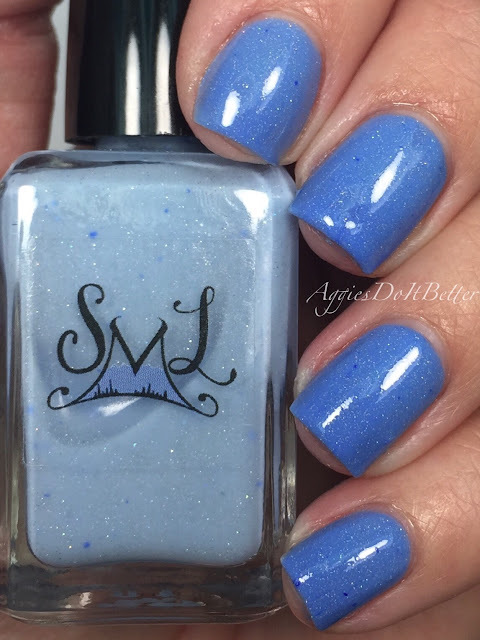 Picture Polish Nail Art Quarterly: Round 2!